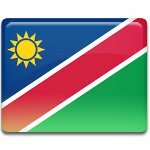 Namibia celebrates its Independence Day on March 21. On this day in 1990, Namibia gained independence from the South African rule, becoming one of the last African countries to achieve full independence. The first Europeans to visit what is today Namibia were the Portuguese in the 15th century. However, they didn’t try to establish a colony there because of the extreme climate of the Namib Desert. The first Europeans to really show interest in the region were members of the London Missionary Society, who founded the town of Bethanie in southern Namibia in 1811. In the 1840s, the Rhenish Missionary Society from Germany formed a close working relationship with the English missionaries. Great Britain was the first country to make a territorial claim over a part of Namibia by occupying and annexing Walvis Bay in 1878. To prevent the British from establishing a protectorate in Namibia, Otto von Bismarck claimed the bay Angra Pequena that had been purchased by German trader Adolf Lüderitz from a local chief. In 1884, Bismarck formally established German South West Africa as a colony. Native tribes rebelled against the German rule, which led to a series of armed conflicts. The biggest one was the so-called Hottentot Uprising, which led to the Herero and Namqua genocide that took place between 1904 and 1908. The German colonial authorities “punished” the Herero and Namaqua tribes for their rebellion, killing tens of thousands of people. Germany began to lose its control over Namibia during World War I. In 1915, South Africa occupied German South West Africa on behalf of the British Commonwealth, of which it was a member. Following the defeat of Germany in the war, South Africa was given full power of administration over the former German colony by the League of Nations. When the League of Nations was replaced by the United Nations at the end of World War II, South Africa refused to give up its full power of administration and continued to administer Namibia as its de facto province, although it never officially incorporated South West Africa into its territory. During the 1960s, the European powers started to grant independence to their African colonies. South Africa, however, refused to do so in Namibia, even though the United Nations General Assembly had revoked its mandate. As a result, the People’s Liberation Army of Namibia began an uprising against South Africa. In 1977, several Western states formed the Western Contact Group and launched a joint diplomatic effort to help Namibia transition to independence. After a series of negotiations, the UN Security Council adopted Resolution 435 in September 1978 for settling the Namibian problem. However, it took South Africa a decade to agree to implement the resolution. Namibia’s transition to independence began in 1989 and ended on March 21, 1990, when the country formally gained independence from South Africa. Independence Day is the national day of Namibia and as such it is celebrated in a grand fashion. The holiday is marked with parades, street parties, sports competitions, and other celebratory events held throughout the country.